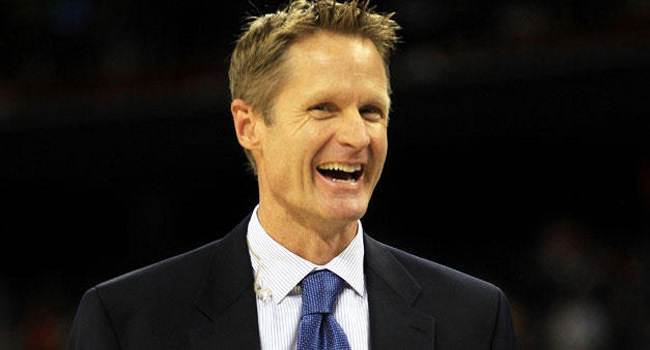 Golden State Head Coach Steve Kerr has plenty to smile about a his Warriors travel to D.C.
With four NBA games on the schedule tonight, why not take a look at each one of them? Golden State at Washington – The Wizards have slipped to the fifth spot in the Eastern Conference having lost three in a row and eight of their last ten games. There isn’t much concern of missing the playoffs as they have a large lead over the seventh and eighth seeds. Still, with the best team in the league coming to town this could be a good time to get things back on track. Golden State has won seven of their last ten games and has maintained their 3.5 game lead over second-seeded Memphis in the tough Western Conference. The health of Stephon Curry is in question but it appears just to be a sore ankle he’s dealing with right now. Trends: Golden State is 1-5 against the spread in their last six games… Washington is 2-8 straight up in their last ten games… The Warriors are 16-7 SU in their last 23 games on the road… The Wizards are 1-4 SU in their last five games at home against the Warriors. Kevin Love is playing better in recent weeks amid rumors he might be elsewhere in 2015. Cleveland (-6.5) at Detroit – The Cavs have closed to within one half game of the third-seeded Bulls in the Eastern Conference. They’ve two straight and eight of their last ten games. Their chances of catching the Atlanta Haws for the top seed in the East are impossible with about 25 games to but the second seed isn’t out of the question. Detroit has won two in a row and six of their last ten to close within one half game of eight seed Brooklyn and within one game of seventh-seeded Miami. The Pistons have to be happy with where they are considering they were given up for dead following the injury to Brandon Jennings. Trends: Cleveland is 16-2 straight up in their last 18 games… The Pistons are 8-4 SU in their last 12 games against the Cavaliers… The Cavs are 2-4 against the spread in their last six games on the road in Detroit… The Pistons are 1-4 SU in their last five games against the Cavs. The Pick: I like the Pistons to keep it close tonight. Indiana (+7) at Oklahoma City – The Pacers have made a really nice run of late winning three-straight and seven of their last ten games. They are dead even with the Pistons and reside in the ninth spot. While the Eastern Conference is much weaker than the West, the chase for playoff positioning may be more exciting in the East. Just as the Thunder got themselves into the eighth spot in the West, star Kevin Durant is out for at least a week following another procedure on his injured foot. Russell Westbrook can carry the Thunder only so far so if Durant is out for an extended period I see trouble for them down the stretch. The Pick: The Pacers have been hot lately but I like the Thunder behind Westbrook to cover. Toronto (+3.5) at Dallas – This could be the best game of the night as the Eastern Conference’s second seed comes to Big D. The Mavs are in the sixth spot out West but are actually just one half game out of the third seed.Basically, this is the Western Conference in a nutshell. Both teams have won seven of their last ten games as the Mavericks look to defend their home court. The Pick: I like Dallas to cover. If the college basketball season ended today, who would the four No. 1 seeds be? According to odds on Bovada and topbet, the four top seeds would be Kentucky, Duke, Wisconsin and Arizona. It is near the beginning of March, which is college basketball’s most important month and just around the bend in less than three weeks is Selection Sunday. Observers everywhere in college basketball are giving their opinions on what the 2015 Tournament field would consist of and what teams would be the No. 1, 2, 3 seeds and so on. Odds makers are betonline and sportsbook.com have also released their odds on the same. If the season were to end today, the four top seeds based on odds we be Kentucky, which is 4 to 5 to win the national championship, Wisconsin sitting at 6 to 1, Duke at 10 to 1 and the Virginia Cavaliers at 12 to 1. The overall No. 1 seeds would hands down be the Kentucky Wildcats. While both Gonzaga and Arizona share the same odds at 12 to 1 as Virginia, the Cavaliers would get the nod over the two because of their power ranking. Another tie that would have to be broken for a No. 2 seed would be between Villanova and Kansas who are both at 30 to 1 to win the title. That seed would likely go to Villanova based on two things. The power rankings and on Monday night the Jayhawks lost to Kansas State to put their Big 12 regular season championship in jeopardy. Villanova on the other hand has won 8 straight including two over teams that were ranked at the time. Of course, it is very early for answers to who will be the No. 1 seeds in the NCAA Tournament. There are two weeks left of the regular season followed by conference end of the season tournaments and the remaining games along with conference tournament outcomes will influence the selection committee going forward. 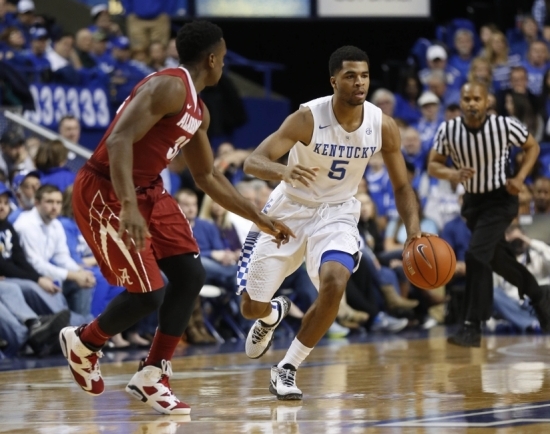 Kentucky has a tough game against Arkansas this weekend, while Wisconsin must play No. 14 ranked Maryland Tuesday night. Therefore, anything can still happen to stir up the pot and likely will before it is all over. Adam Silver wants to explore a shorter regular season and I can see why. I mentioned last week that National Basketball Association Commissioner Adam Silver was contemplating changes to the season schedule. To be honest, the owners are unlikely to be in favor of any changes that reduce the number of games. With each team currently hosting 41 games, the reduction of any means the reduction of gate money. Oh, did I forget it also means lost money on team gear, food, beverages and arena parking? There is one way owners can recoup the lost income however and that’s to raise prices on all of the above and that worries me. Ticket prices are already preposterous and so are concession prices. It’s pretty much to the point where you need to have a kidney ready in order to pay for a round of beers. What’s so interesting is that at a time when the National Football League is flirting with adding an extra game or two, Silver is instead looking to go into another direction. I don’t think we need to worry too much about NBA owners heading to the streets to look for hand-outs though. I think where you’ll see things change isn’t so much with the NBA’s regular season but with its’ preseason. For years the league has pushed preseason games out of the country in an effort to drum up more support for the game. With places like China and many countries in Europe hosting NBA preseason games, the wear and tear on players has increased. You might ask how top players are getting worn down by playing just a few minutes in meaningless preseason games but it’s the travel and time changes that take a toll. This, at a time when players are supposed to be getting ramped up for the grueling 82 game schedule. I’m guessing that Silver will seek a reduction in preseason games and perhaps limits to out of country games as well. Regardless of his decision you can rest assured the NBA’s owners will not be losing money. Kevin Durant is seeing himself back to the bench following another procedure on his bad foot. On a separate yet very connected story, injuries are all the rage in the NBA today. If you needed further evidence of why Silver wants to reduce the regular season schedule than look at the news from the league today. Kevin Durant, who is trying to get his Oklahoma City Thunder back in the playoff race, had a medical procedure done his previously injured foot and will be re-evaluated in a week or so. Also on the bench for the next week or two is New Orleans’ Anthony Davis who is out with a sprained shoulder suffered in Saturday night’s game against Miami. This is not the first time that Davis has missed some time this season and like many others is part of the motivation for a shortened regular season. Last but certainly not least is Boston’s Jared Sullinger is who out for the remainder for the remainder of the season with a bad left foot. While both Sulinger’s Celtics and Davis’ Hornets aren’t exactly going anywhere related to the postseason, they do represent young stars of the league. Adam Silver needs players like these to be on the court whether their respective teams are in the playoff hunt or not. Each time one of these young guys is out that will most definitely reduce the number of butts that were going to be in seats. Now it could be just “one of those years” in the NBA but if Silver is concerned about it then there must be something of a real and natural concern. 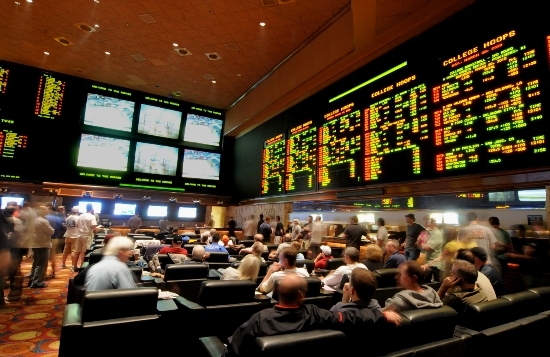 Would Legalized Sports Betting Hurt Las Vegas? If legal sports betting were to start in places such as the California Indian casinos or other places across the U.S. would it hurt the Vegas strip or Nevada sports betting industry as a whole. If it were to happen, it certainly would not happen overnight, but the idea of expanding gambling to other places besides just Nevada has gained renewed strength of late. 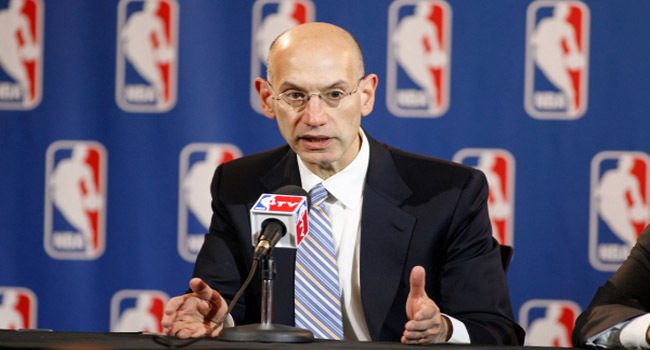 The commissioners in three of the four major U.S. sports leagues in the U.S. led by Adam Silver of the NBA said legalizing sports betting would eventually need to be looked at by the governing bodies of each league. The American Gaming Association based in Washington wants its membership to decide what the best course is to take on the issue. A legislator in Minnesota has introduced a measure to make sports betting legal in his state. However, the Professional and Amateur Sports Protection Act or PASPA, makes the discussion at this time moot. PASPA, which Congress approved in 1992, confines sports wagering to Montana, Oregon, Delaware and Nevada. However, unlike Nevada with its multimillion dollar sportbooks that are ultra high tech. the three other states offer only betting at a small stakes level through a lottery or parlay cards. Short of a repeal of PASPA by Congress, the Supreme Court would have the final say on any other U.S. states having sports wagering. New Jersey has fought for three years trying to legalize sports betting for its casinos in Atlantic City and at racetracks to help the state gaming industry that has been in decline. In November, a federal judge blocked the effort by New Jersey although supporters are hoping an appeals court will hear the issue this year. Sports betting supporters in Minnesota want to make a challenge against PASPA saying the state has both racetracks and casinos and has used gambling revenues to construct a new NFL stadium for the Minnesota Vikings. 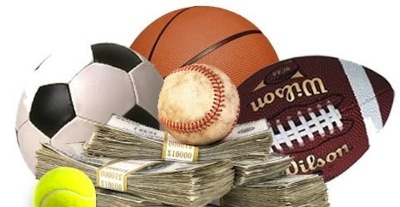 The discussions are centered around money, the states want to fill their budget gaps with taxes on sports wagering, while the sports leagues could also demand their share. 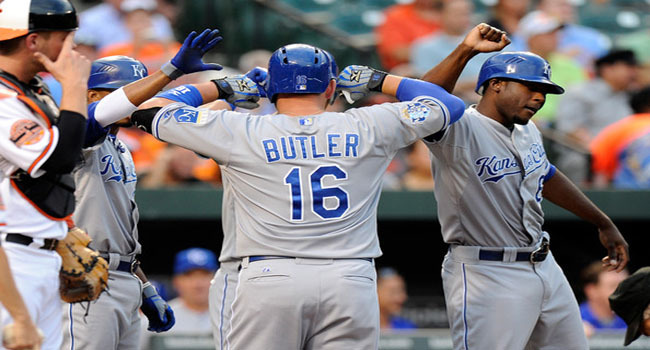 Can the Royals duplicate their success of last year? Can you believe teams have already reported for spring training in Florida and Arizona? Seems like the season just ended doesn’t it? Here are you season total win total projections from our friends at Bovada. Despite the changes, I like the UNDER. The Braves always seem to find a way to succeed. Take the OVER. I think they take a step back but go with the OVER. The BoSox have upgraded in all the right places. Take the OVER. Will the Cubs be better? Yes, but I’m not ready for over .500 so take the UNDER. I’m just not convinced this team is ready for recovery yet. Take the UNDER. Take the UNDER as the Reds are still reshuffling the deck. Take the OVER. I like the direction of the Indians. I don’t see much to be positive about here. Take the UNDER. It’s really hard to see them doing as well as recent years with injuries and pitching losses. Take the UNDER. Arrow up on the Astros. I like the OVER. Can they repeat last year’s success? I say no. Take the OVER. Take the OVER. Big year coming from the Halos. Can the Dodgers get over the hump and get to the World Series? It’s a big number but I’ll take the OVER. I really like the OVER here as new additions boost the Marlins. Take the UNDER in a super-competitive NL Central. Managerial change brings instability. Take the UNDER. What reason have they given me to be excited? Take the UNDER. If A-Rod can contribute without being a problem, I like the OVER. They stumbled to the finish last year and it continues in 2015. Take the UNDER. Can they really be this bad? Yes, take the UNDER. Playoffs for two straight years in Pittsburgh and things look as good this season. Take the OVER. Fantastic additions but I’m still going UNDER. The defending champs have some offense to replace but I still like the OVER. Could the Mariners be the cream of the crop in the AL? Maybe and I’m taking the OVER. This number is really close for me. I’ll take the UNDER but barely. I just don’t see this team improving much. Take the UNDER. With Profar likely out for the season I’ll take the UNDER. Lots of excitement in Canada about this team and rightfully so. I’ll take the OVER. I see no reason why this shouldn’t be a World Series team. Take the OVER. 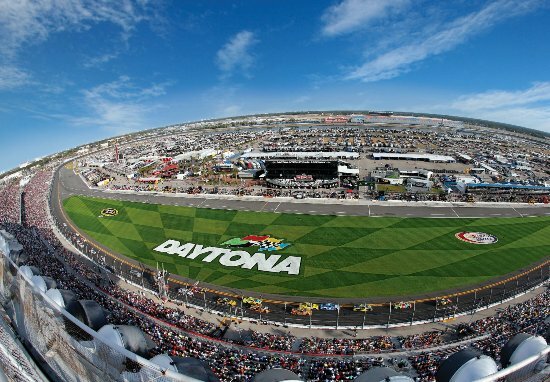 The Daytona 500 will be run today at Daytona International Speedway home to the famous 2.5-mile tri-oval track. Between the Sprint Unlimited, the Budweiser Duels and eight practices there should be more than enough information available to make a good educated guess on who the winner will be in Sunday’s race. Perhaps the source that is better than any other is how the race teams performed last season at races with restrictor plates, because it looks thus far like little has changed. Hendrick Motorsports and Joe Gibbs Racing as in 2014, look fast. The two teams’ performances during the past week have strengthened the thought most have on the teams. Over the past week, Jimmie Johnson’s stock has risen, while that of Brad Keselowksi had dropped. Keselowski has disappeared over the past week at Daytona and will have to come out of nowhere to win today. Johnson ran very well in the second Budweiser race hanging on for the final 23 laps and proving that he is right there and will be a force on Sunday. Of course, Johnson has finished 20th or worse over 7 of his last 10 Daytona starts. Although the vehicles are close to identical to last year, it has been very hard to pass this past week at Daytona. It just seems like the leader has the huge advantage and everyone else is behind him is mired in wet sad. The winners of the duels have been from the HMS or JGR and the drivers who were chasing the winners in the duels were from either HMS or JGR. The one racer who has held his own on the track this week with HMS and JGR has been Martin Truex Jr., who finished fifth in the second of the Bud Duels and in second in the Sprint Unlimited. He has finished in the top 10 just once in his 19 Daytona races that were point paying during his career, but it is clear by the way he is performing this past week, he could become the upset winner. Never count out veteran Jeff Gordon who has won this event three times and will be racing for the last time in the Daytona 500. Finally! Manny Pacquiao and Floyd Mayweather,Jr. will meet in the ring May 2nd. Although it’s coming about five or six years too late, the two greatest boxers of this generation are finally going to meet inside the ring rather than through social media. 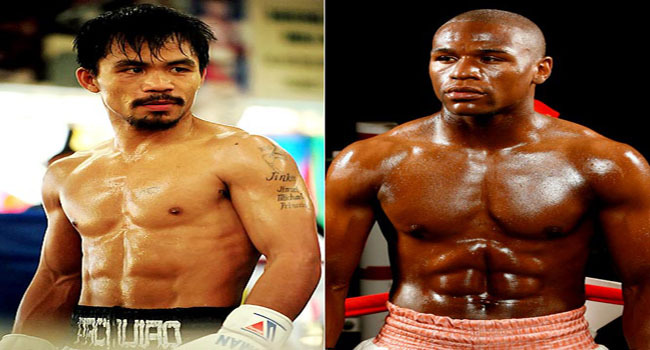 Floyd Mayweather, Jr. announced yesterday that he and Manny Pacquiao will meet on May 2nd. The unbeaten Mayweather turns 38 years old this week while Pacquiao is 36. I see no reason why this won’t be a great fight but I would be remiss if I didn’t suggest it would have been even better several years ago. Sadly, the reason why this match has taken so long to happen is why boxing has suffered in the last 20 years and we have promoters to thank. But to be fair, its’ been far more than that that’s delayed this fight. Everything from networks to types of drug-testing to who gets what split of the pot has kept this event from happening. HBO and Showtime have agreed to produce the fight together and it looks like it will cost viewers about $90 for the fight via pay-per-view. Right now Mayweather is listed at -275 and Pacquiao is at +220 and I don’t think that will change a lot. Regardless of who the money pushes towards this will be the richest fight in the history of the sport and it’s about time. Commissioner Rob Manfred continues to put his mark on baseball in the short time he's been in charge. New Major League Baseball Commissioner Rob Manfred has wasted no time in putting his stamp on the game. Already Manfred has suggested banning the defensive shift to combat pull hitters, wants to shrink the strike zone starting in 2016 and now wants to speed up the game. As much as I’m a baseball purist, I think the new rules are needed. Batters continue to take more and more time in between pitches and while that might just be a few seconds, that adds up over the course of a game. Batters will now have to keep at least one foot in the batter’s box between pitches unless authorized but the umpire to do otherwise. MLB’s goal is to speed up the game not so much for those at the stadium but for the television audience. Teams will be advised that there will no longer be a long delay once the networks come back from commercial. Instead, pitchers and batters will need to be ready to go when the commercial break is over. I don’t think what Manfred and MLB are asking is impossible nor is it ridiculous. Watch film from games 40 years ago or more and you’ll see batters rarely leave the box and pitchers rarely leave the mound. Why we’ve gotten away from that I have no idea but I welcome the changes and I anticipate they’ll make the baseball viewing experience better. Perhaps the hand of NASCAR was already played thanks to the National Football League when it came to domestic violence. With the NFL and NASCAR sharing many fans, the country’s top racing circuit followed the lead of the NFL and suspended racer Kurt Busch following a court’s ruling that Busch smashed the head of his former girlfriend into the wall of their motor home. The bottom line is that NASCAR could not sit on this. It was already public and many were watching with very keen interest to see how the “good ole’ boys” would handle domestic violence. For now, they are doing things the right way. The No. 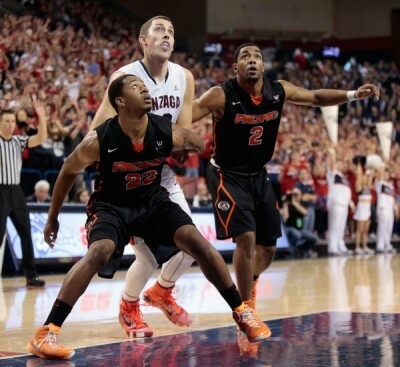 3 ranked Gonzaga Bulldogs visit the Saint Mary’s Gaels on Saturday night. Gonzaga is 27-1 straight up and 12-11-2 against the spread. Saint Mary’s is 20-6 SU and 16-6-2 ATS. Gonzaga opened as an 8.5-point favored by currently is -6.5. 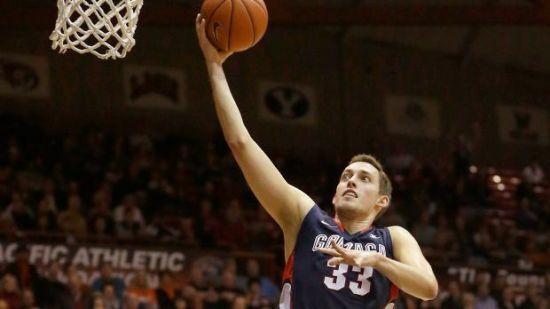 Even though Gonzaga has just 1 loss straight up this season, the Bulldogs are 1-4 ATS over their past five games played. Of course, it makes it a bit more difficult when those five games the Bulldogs were favored by 10 points or more. Besides a win by 8 points over Pepperdine, none of the past five games has been close even though they have failed to cover. Gonzaga has one of the country’s best offenses even if the competition it faces is not the best in the country. The Bulldogs have the best field goal percentage in the nation and score an average of 80 points per game. The defense for St. Mary’s is just average but on offense they are competitive. However, the first time the two meet earlier this season Gonzaga covered a 15-point spread. Gonzaga is in the top 20 in the country for defensive field goal percentage. In January in the first meeting between the two, the Bulldogs held St. Mary’s to 36% shooting, while Gonzaga hit 53% of its shots. St. Mary’s could only score 47 points, which is its lowest output of this season. Gonzaga has won 20 straight games for the third time in team history. The Bulldogs have won 10 of the past 12 regular season titles outright. St. Mary’s, who are in second place this season, was the winner of the conference in 2011-12 one season after both teams split the title. Gonzaga has won 7 straight against St. Mary’s, with the past 6 by an average margin of 19.7 points. St. Mary’s has won 9 of its past 10 on its home court. The Gaels will retire the jersey of former Gaels star Patty Mills, who now plays for the San Antonio Spurs, at the game tonight. 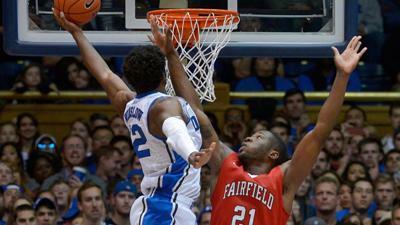 It is the first time all season that St. Mary’s will be the underdog at home. Gonzaga has not covered a spread in any of its past six games on road, but remember the spreads have been large in each game. 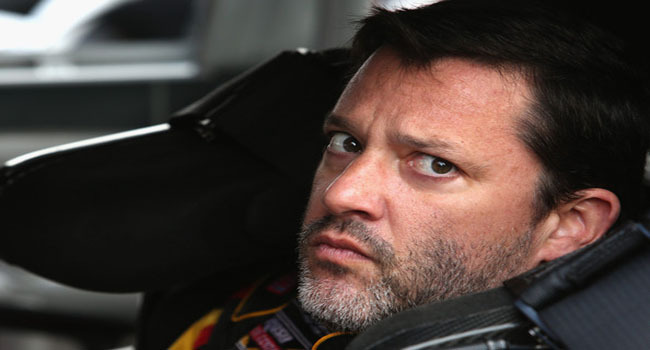 Word has it Tony Stewart is feeling like his old self. That could be bad news for the rest of the NASCAR drivers. 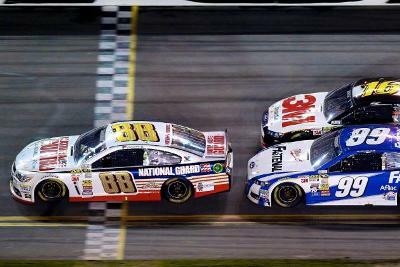 This Sunday is the Daytona 500 and unlike many professional sports, NASCAR kicks off its’ season with its’ biggest race. In other words, this is like the having the Super Bowl as the first game of the National Football League season. The biggest news as we start the new season is that this will be the last full schedule for NASCAR legend Jeff Gordon. The four-time champion may race a limited schedule in the coming seasons but this will be in effect, his final run at a Cup title. The opener at Daytona will also be the 14th since the death of Dale Earnhardt. There are plenty of people who know far more than I do about NASCAR but no one will alter my opinion. When Earnhardt passed away that day a piece of NASCAR did too and it has never recovered. Also expected to be a story-line is the racing of Tony Stewart. He’s already proven that “Smoke” is back with his driving in the Unlimited as well as comments about racing in general. Common thought is that the only way Stewart is a factor in the Cup chase is if he returns to aggressive ways and style. That wasn’t easy following his accidental hitting of Kevin Ward, Jr on a dirt track race in New York. Ward of course died in the accident. Our friends at Bovada have graciously provided us with the latest odds on who are the favorites for the 2015 Sprint Cup Chase. Is Jimmie Johnson ready to add a seventh title? I think so. Why wouldn’t he be the top favorite? He’s only won the Cup six times for crying out loud. Yes, he’s had a couple of down seasons but it’s not like he’s ready for retirement. Gordon has been one of the racers that fans either love or hate. I think he’ll finally get more respect at tracks across the country in his final full season but I’m not sure that means a title. Harvick is the defending champion and repeating is never easy. He could be the first guy not named Jimmie Johnson to repeat as the champ since… Jeff Gordon. Last season saw Kesolowski lead NASCAR in wins with six and there’s good reason to like his chances this season. At some point, Logano is going to win a Cup and I think it happens pretty soon. He had some tough luck heading into the final race last year and looks to reverse that trend. Kenseth didn’t win last season but did have 22 top ten finishes… Edwards is a bigger favorite with many NASCAR previews mostly due to a team switch… Kyle Busch is another guy who seems to be “due…” What can you say about Junior? He finds ways to win races here and there but will he find consistency? Like I said in the opening, if he can put the past behind him and return to his racing style then the sky could be the limit. Newman was pretty consistent last year despite not winning any races over the final 10. He has always been a guy who ‘could’ win the Cup so why not now? My Pick: Jimmie Johnson doesn’t get enough credit for how fearsome of a competitor he is and I think he finds a way to add a seventh title. Odds makers online are gearing up for the start of Major League Baseball’s 2015 regular season on April 5. On opening day, the Chicago Cubs host the St. Louis Cardinals. The divisional odds were released this week giving bettors plenty of time to review the numbers and make a pick they feel has the most value. 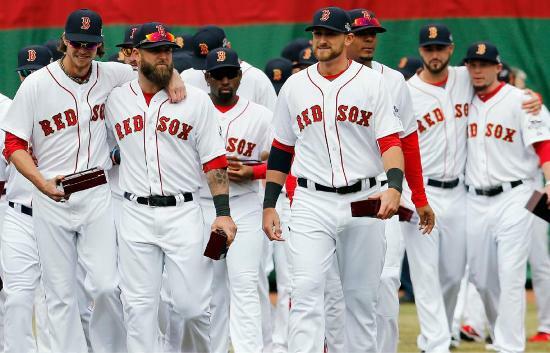 The American League East has been called the most competitive division top to bottom in baseball by odds makers at Bovada and topbet. While the Boston Red Sox are the favorites to win the division with 2 to 1 odds. All of the five teams in the AL East are priced 5 to 1 or lower. The other two divisions in the American League appear wide open, as there is only one team in both the AL Central and West with odds of double digits. The Cleveland Indians and Detroit Tiger are the co-favorites of the AL Central with 2 to 1 odds. 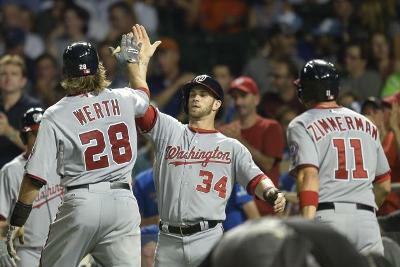 The Los Angeles Angels are 3 to 2 to win AL West division, but just barely in front of the 8 to 5 Seattle Mariners. In the National League East, the Washington Nationals are clear favorites at 1 to 4 to win the division, with the Miami Marlins a distant second at 5 to 1. In the NL Central, the odds on favorite is St. Louis at 10 to 11, but Pittsburgh is 5 to 2 and Chicago 4 to 1. The Los Angeles Dodgers are a clear favorite to win the NL West. The Dodgers are 2 to 5, while the San Francisco Giants are a distant 5 to 1 with the San Diego Padres 7 to 2.